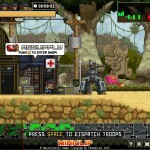 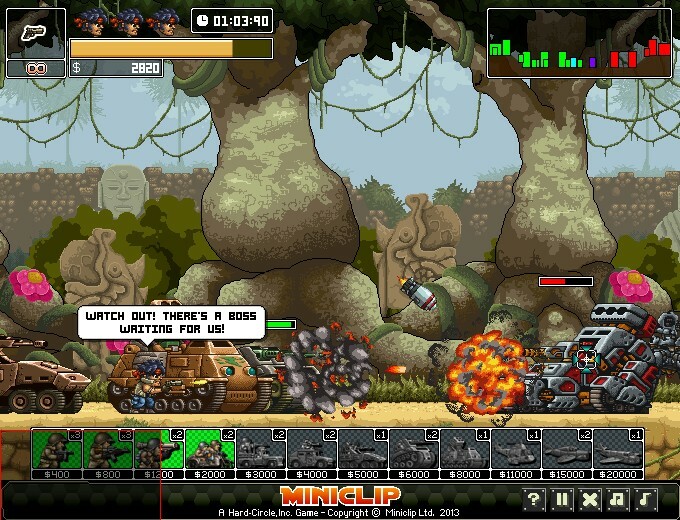 War Action Shooting Upgrade Click to find more games like this. 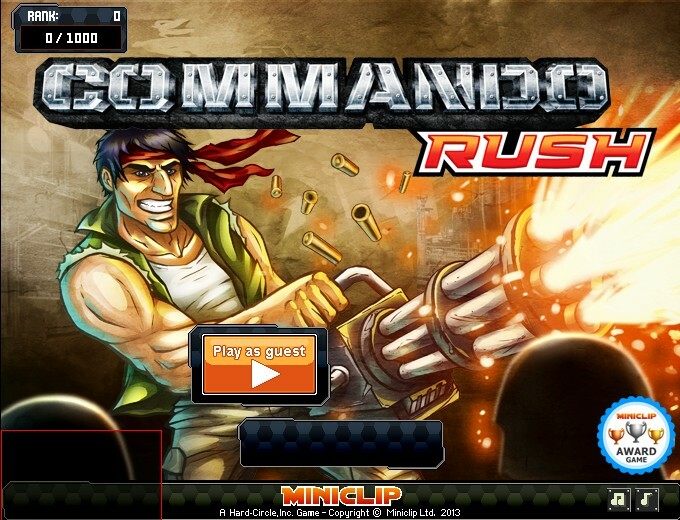 Your favourite action hero is back in Commando: Rush, a series of fast and furious quick fire missions! 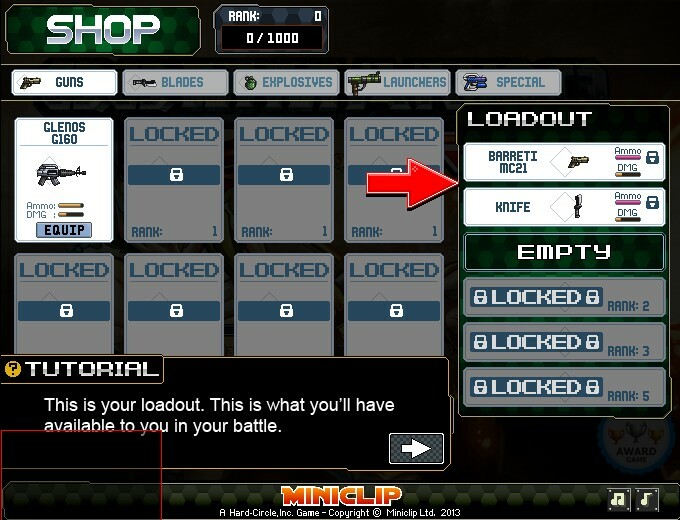 Rank up to unlock awesome weapons and all new game modes. 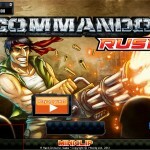 Commando: Rush is an intense battle game. 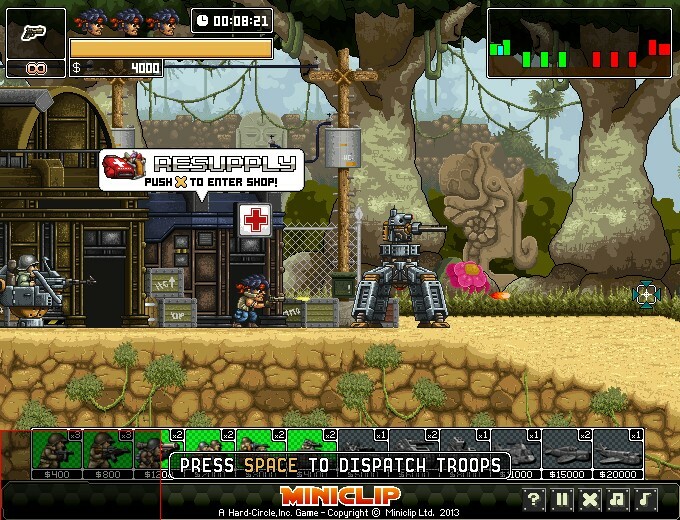 You will play as a commando who have the task to destroy your enemy’s turrets and their base. 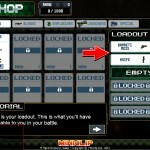 You will earn money from each defeated enemy, and this money is useful to recruit and deploy more troops from your side. 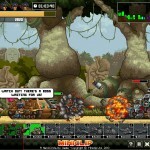 Believe me, you can not win this war alone, you’ll need your men, so do not be shy to call for backups!